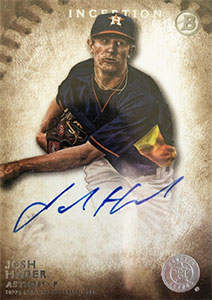 Josh Hader was born on Thursday, April 7, 1994, in Millersville, Maryland. Hader was 23 years old when he broke into the big leagues on June 10, 2017, with the Milwaukee Brewers. His biographical data, year-by-year hitting stats, fielding stats, pitching stats (where applicable), career totals, uniform numbers, salary data and miscellaneous items-of-interest are presented by Baseball Almanac on this comprehensive Josh Hader baseball stats page. Josh Ronald Hader is an active Major League Baseball player who pitches for the Milwaukee Brewers (2017-2019). Josh is a hard throwing left-handed relief pitcher who won the 2018 National League Reliever of the Year Award . Did you know that when Josh Hader struck out Tyler ONeill (3 Pitches / 3 Strikes), Dexter Fowler (3 Pitches / 3 Strikes), and Yairo Munoz (3 Pitches / 3 Strikes) on March 30, 2019, he recorded the fifth immaculate inning in Milwaukee Brewers history?